From design and project management to sales, delivery and installation, our team members possess the knowledge and experience that allows us to provide products and services that fit your needs and exceed expectations. Jim is the youngest son of VPOE’s founder Robert Nathe. Jim started working alongside his father as a full-time driver and installer in 1985, moved into sales in 1995 and in 2002, Jim became President. In addition to performing his duties as President, Jim negotiates all our used furniture purchases stocking our warehouse with quality used office furniture and handles all of our daily logistics including our fleet of eight trucks running five days a week. Annette has spent her entire career at VPOE. Her drive and enthusiasm have paved her way to partnership and Vice President of Sales. 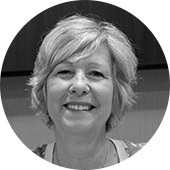 With 25 years of experience, her dedication to culminating long lasting partnerships has made VPOE what it is today. Annette is constantly striving to grow the business while improving client experience. Customer service is her number one goal, which channels through every employee at VPOE. Marty is one of the original employees of VPOE starting in 1970. 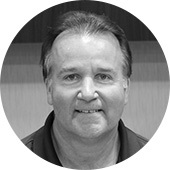 Marty is now Vice President and oversees our multiple warehouse locations. 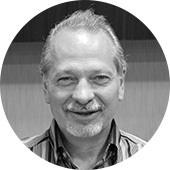 He is involved in everyday delivery operations and is still out in the field installing and overseeing projects. Marty is VPOE’s ‘Go-to-Guy’ - always finding the solution to any office furniture need. Sharon joined the VPOE team in 2000. She oversees the design department and Interiors division as well as part of the sales team. Sharon works closely with clients to achieve the look they want within the budget that they have. Sharon is a graduate of the University of Wisconsin Madison and holds a degree in Interior Design with a minor in Gerontology. She enjoys spending as much time as possible outdoors with her family. 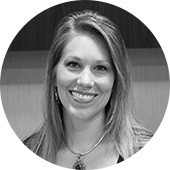 Tamie joined our team in 2001 as assistant to the partners, later moving into sales and marketing. Building solid client relationships is Tamie’s focus and understanding their needs gives Tamie the edge to propose efficient and productive plans within budget. In addition to sales, Tamie oversees our marketing including website and advertising media. Tamie completed her Bachelor’s degree in Business Management and Marketing from Elmhurst College. Mike Nathe, oldest son of Robert Nathe, began delivering, installing and selling office furniture with his father out of their garage in Villa Park in 1969. Since that time he has enjoyed working with people and assisting them with their office furniture needs. Mike is a stabilizing force on the VPOE team. 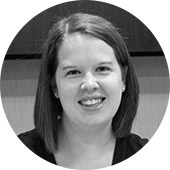 Beth has been a part of the VPOE team since November 2011. 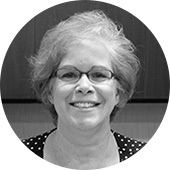 Beth has over 20 years of sales experience in selling office space, office supplies and office furniture. She recently completed her Bachelor’s Degree in Organizational Leadership from Benedictine University. Laura Panke’s current position as Senior Project Coordinator showcases her mélange of skills acquired in previous positions with VPOE. 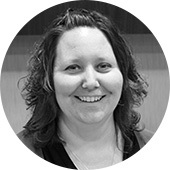 Starting out at the switchboard in 2003 equipped with an IBM Selectric, Laura has grown alongside VPOE with active roles in customer service, accounting, purchasing, administrative support and design. Her passion for problem solving, meticulousness, and conquering challenges is evident both professionally and personally. Jenny graduated in 2004 with an Associate in Arts. 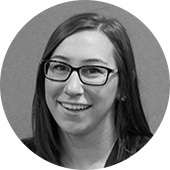 She joined the VPOE team in 2008 and assists our sales team with administrative duties as well as space planning & design. Jenny also is involved with our Interiors division. 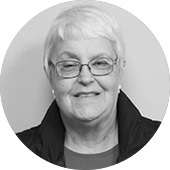 Sharon has over 28 years of office furniture experience and has held various positions including sales associate and office manager. Sharon has been part of the VPOE team since 2007 and is responsible for supporting the sales team on a daily basis. Sharon also contributes her photographic skills for website and advertising media. 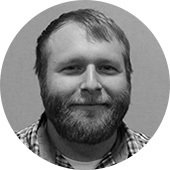 Kevin joined the VPOE team in 2016 working in the Marketing Department. His duties include inventory management on the company website, helping with website contact inquiries, monitoring website traffic and assisting with online marketing platforms. 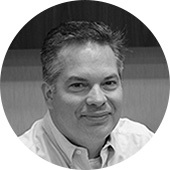 Kevin most recently joined our sales team. Kevin graduated in 2012 from Northern Illinois University with a Bachelor's Degree in Business Administration with a Minor in Marketing. Sheila joined VPOE in August 2016 as the front desk administrator. 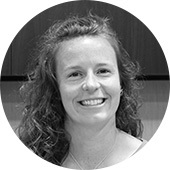 Sheila has switched gears and currently assists our sales and design teams adding creativity and organization to projects. She is currently completing her Associates in engineering at the College of DuPage. 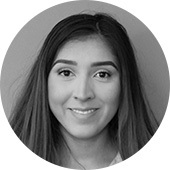 Alondra joined VPOE in December 2017 as the front desk receptionist. She is the smiling face you see when you walk in the door, and the first voice you hear when you call. Alondra is currently completing her Associates in Public Relations and Advertising at Triton College.